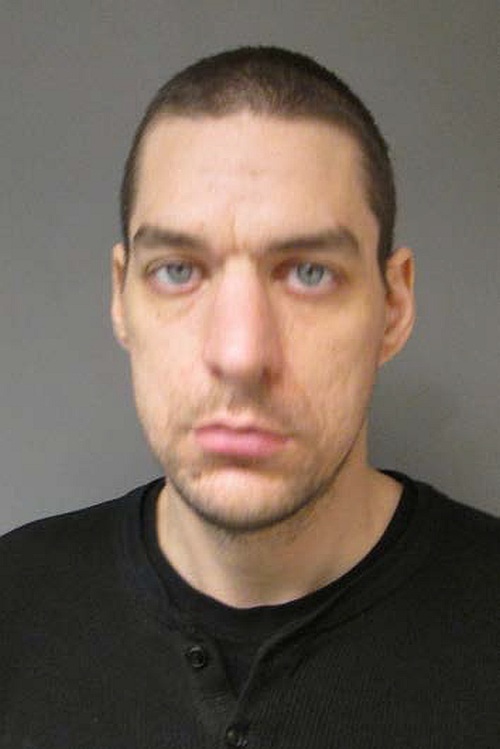 Frank Merrell, age 34, of Goshen, New Hampshire was arrested on March 17, 2017 after removing merchandise valued at over $800 from Kohl’s Department Store in West Lebanon. Merrell and another man, later identified as Timothy Wainwright, age 41, of Springfield, Vermont, were seen by a Kohl’s loss prevention employee concealing merchandise in their clothing, then leaving the store without making payment. When contact was made with Merrell outside the store, he attempted to conceal the stolen merchandise underneath a car in the parking lot. Wainwright fled the scene and contact was lost with him. Merrell was arrested for theft and falsifying physical evidence, both felonies, and held on $10,000 cash bail. Merrell had been previously arrested on February 22, 2017 for felony theft and was out on bail for that offense. Merrell was transported to the Grafton County House of Corrections awaiting arraignment held on March 20, 2017 where bail was again set at $10,000. There is a valid arrest warrant for Timothy Wainwright at this time.